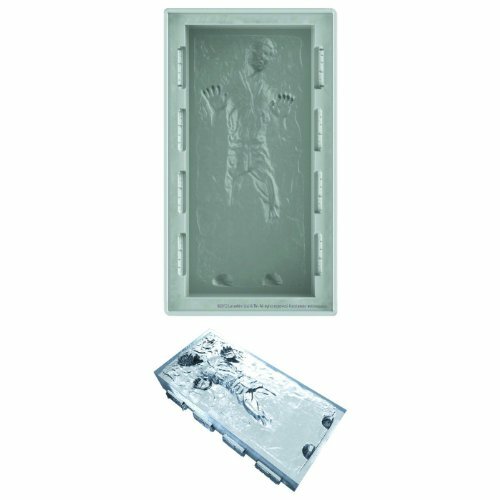 This is a great Star Wars bed set that comes in full size for bigger beds. The comforter set is also reversible, so you'll get two looks in one! This set comes with seven pieces to fit on a full-sized bed. The comforter has a repeating pattern of icons from the Star Wars saga. Both sides have grey icons on a lighter grey background; one side is much lighter than the other so changing up this comforter can really change the look of the room its in. 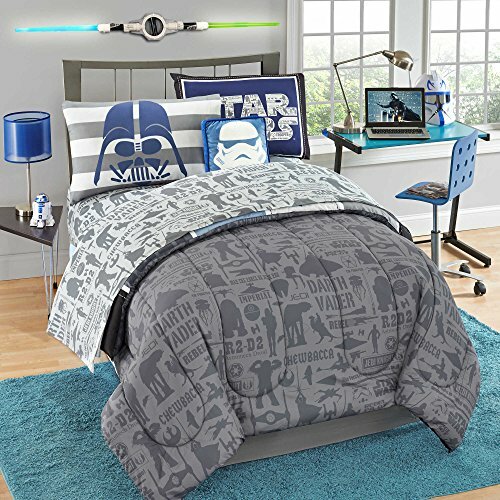 The seven piece Star Wars bed set also comes with a matching sham and throw pillow, plus one fitted sheet, one flat sheet, and a set of two pillowcases.